Can Mike Ashley convince MPs Sports Direct has nothing to hide? The shy entrepreneur has had a change of heart and is going to appear before the business select committee. It’s a tale that’s had more twists than this season’s Premier League (bad luck, Newcastle fans) and now Mike Ashley’s back-and-forth with the Business, Innovation and Skills select committee has taken another turn. The Sports Direct boss has said he will now appear before MPs – apparently to defend the company’s ‘good name’. That’s just days after saying he’d defy a parliamentary summons (his lawyer was unavailable apparently). In a subtly worded letter to committee chairman Ian Wright, Ashley began with ‘NOTHING TO HIDE’ in bold capital letters. He said repeated invitations for MPs to visit Shirebrook were a 'clear demonstration' of this and he simply wanted to avoid an 'unnecessary media circus.’ Of course, if Ashley wasn't quite so reluctant to speak in public, the media's preoccupation with him wouldn't be anywhere near as fervent. Ashley's public image problem came to a head last year when in-depth investigations - by the Guardian and Channel 4's Dispatches - put the spotlight firmly on his company's working conditions - prompting the committee to take an interest. The Guardian said staff were searched daily, penalised with hefty deductions from their pay packets for clocking in for a shift a minute late and banned from wearing over 800 clothing brands at work. Dispatches claimed not only were zero-hours contracts the norm but staff went day to day fearing they could lose their jobs. Now Ashley has changed his mind, he may have decided ripping the plaster off would cause less pain in the long run and enough prep could make the appearance a relatively smooth process. Appearing before a select committee is predominantly a PR problem after all – Ashley’s hardly going to be locked in the Tower of London as a result (though technically he could’ve wound up in Big Ben, were he found in contempt of Parliament). So that may be partly why, up until now, Ashley has paid it little attention. 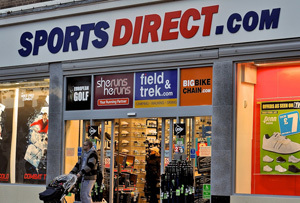 But, needs must – and considering the barrage of turbulent events has taken its toll on Sports Direct’s share price (losing 46% of its value earlier this year) and that Ashley owns 55% of the business, he may be thinking a brand makeover is well overdue. The committee's unrelenting attempts to drag Ashley over the coals is also about keeping up appearances. But it could also prove an important informative process too. Sports Direct is a big retailer and assessing its working conditions could inform future employment law policies. For one, zero-hours contracts have been increasingly controversial since splitting parties ahead of last year's election. Ahead of the big day, Ashley may want to cast his eye over these handy tips from MT – a crash course in how to appear before a parliamentary committee. Some key takeaways: don’t be evasive, choose your message and remember it’s public. What could go wrong?